This course "Fundamentals of Financial Management" is deals with how effectively financial resources are raised and used by a business firm. It helps students to learn effective management of financial resources in a firm and equips them with necessary skills to put them in practice. The course also creates foundation for specialized and advance courses in finance. This course is divided into11 units covering the basic aspects of financial management. The titles covered under this course are: introduction to financial management, financial statements and analysis, time value of money, risk and rates of return, bond valuation, stock valuation, cost of capital, basics of capital budgeting decision, capital structure and leverage, dividend payments, and working capital and current asset management. The course will be implemented to provide in a manner that gives students adequate opportunities to expose to real business financial situations. Nature and functions of Financial Management, The goal of Financial Management, Finance in the organization structure of a firm, Career opportunities in finance. Financial statements and reports, The balance sheet, The income statement, Statement of cash flows, Statement of stockholders' equity, Free cash flow, Ratio analysis: liquidity, asset management, debt management, profitability, market value ratios, Du-Pont equation, Ratios in different industries, Uses and limitations of ratios. Concept and significance of time value of money, Cash flow time line, Present value and future value: future value of a single amount and present value of a single amount, Solving for interest rates and time period, Annuities: types of annuities, future value of ordinary annuity and annuity due, present value of ordinary annuity and annuity due; solving for annuity payments, periods and interest rates, Present value of perpetuities, Future and present value of uneven cash flows, Semi-annual and other compounding periods, Comparing interest rates, Amortization of Loans. Concepts of risk and return, Expected return and risk of a single asset, Expected return and risk of a portfolio of assets, Portfolio and diversification of risk: simple diversification and Markowitz diversification (the role of covariance), Capital Assets Pricing Model: assumptions, the model, estimation of beta, Security Market Line. Meaning and key characteristics of bonds, Basic financial asset valuation model, Valuation of bonds: perpetual bonds, zero coupon bonds, coupon bonds with finite maturity, Bonds with semi-annual coupons, required return and bond values, Changes in bond values over time, Bond yields: current yields, yield to maturity and yield to call. Meaning and key features of common stock, Common stock valuation: single and multiple holding periods, The dividend discount model: zero growth model, normal growth model, non-constant growth model, valuing the entire firm, Preferred stock: Features and valuation. Concepts and uses of cost of capital, Component cost of capital: cost of debt, cost of preferred stock, cost of retained earnings, cost of new common stock, weighted average cost of capital, Factors affecting cost of capital. Concept and significance of capital budgeting, Process of capital budgeting decisions, Classification of capital projects, Capital budgeting techniques: payback period, discounted payback period, accounting rate of return, net present value, internal rate of return, comparing NPV and IRR, modified internal rate of return, profitability index, Evaluation of techniques. Capital structure and financial structure, Optimal capital structure and weighted average cost of capital, Business risk and financial risk, Break-even Analysis: Determining BEP, BEP charts, application and limitations of break-even analysis, cash BEP and financial BEP, Degree of operating leverage, financial leverage and total leverage, Factors affecting capital structure decisions. Concept and types of dividend, Dividend payment procedures, Factors influencing dividend policy, Dividend payout scheme, Stock dividend, Stock split, Stock repurchase, Dividend Payment Practices in Nepal. Concept of working capital, Importance of working capital management, Factors affecting size of working capital, The cash conversion cycle, Purpose and Significance of inventory management, Basic inventory costs, The economic order quantity model, Re-order point and safety stock, Quantity discount, Purpose and significance of cash management, Motives and rationale for holding cash and marketable securities, Cash Budget, Purpose and significance of receivable management, Elements of credit policy: credit standard, credit terms and collection policies. Brigham, Eugene F. & Houston, Joel F. Fundamentals of financial management. Delhi: Cenage Learning. Gitman, L. J. Principles of managerial finance. New Delhi: Pearson Education. Van Horne, J.C. & Wachowicz, JR. Fundamentals of financial management, New Delhi: Prentice- Hall India Ltd.
Ross, S. A., Westerfield, R. W. & Jordan, B. D. Fundamentals of corporate finance. New York: McGraw-Hill Irwin. Pradhan R. S. Financial management. Kathmandu: Buddha Academic Publishers and Distributors Pvt. Ltd. Paudel, R. B., Baral K. J., Gautam R. R., Dahal G. B. & Rana S. . Fundamentals of Financial Management. Kathmandu: Asmita Books Publishers and Distributors Pvt. 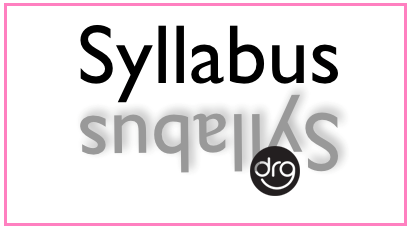 Ltd.
0 Response to "Complete Syllabus of Fundamentals of Financial Management | MGT 215 | BBS 3rd year (4 Years)"